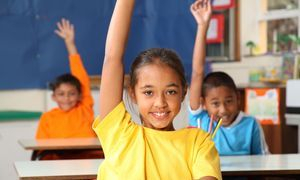 Student performance data frequently indicates the need for targeted intervention, accommodations, and specially-designed instruction in the areas of literacy, math, and positive behavior supports, for students who struggle. Educators must be able to implement evidence-based instructional methods that match the needs of students who learn differently. Diebold Educational Consulting can provide customized, on-site professional development, technical assistance, and coaching to help your teachers respond to the challenge and help all students succeed.